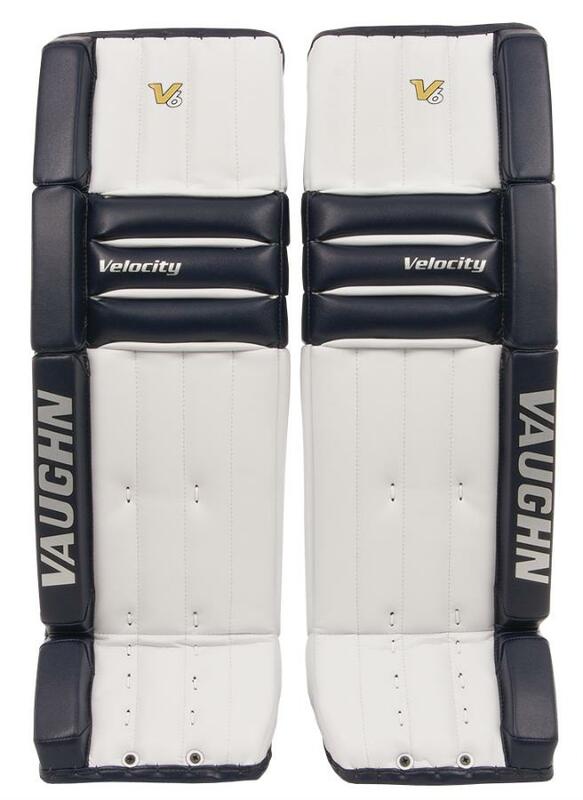 Vaughn Velocity V6 2000 “Vintage Graphic” Pro Leg Pads | Sports Etc. 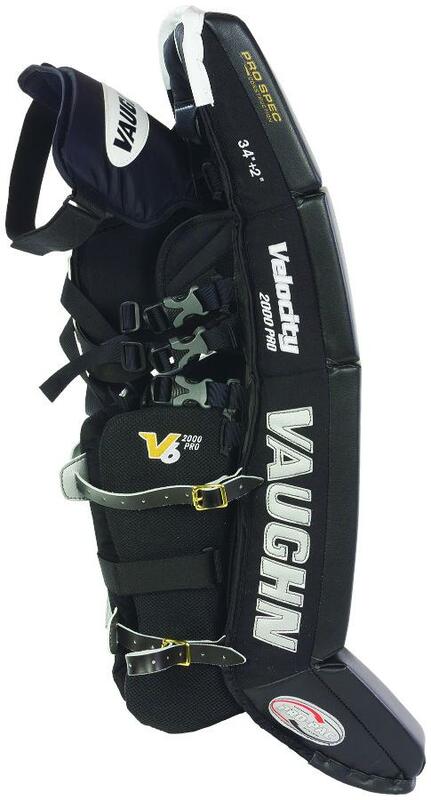 The legacy of the Vaughn Velocity series continues with the Velocity V6 2000 leg pads. Still the industry standard in traditional full knee roll construction, this 2014 update features innovations and performance features. The internal construction now features the new Pro Core design, which keeps the pad consistent in height and width, while foam flex stuffing next to the leg allows the pad to fully conform and break-in to the individuals style. The pad features Carbon Enhanced Performance with a carbon recoil plate in the knee and upper thigh section. This allows the pad to bend easily, but allows the pad to return to shape after it’s flexed. As a Vaughn dealer for over 20 years we can confidently say this is the best Velocity pro pad to date. Vaughn Traditional Full Knee Roll Design- Recommended for any goalie looking for great versatility and flexibility, while still providing a firm blocking surface and strong seal on the ice. Sports Etc Performance To Value Rating- 9 out of 10– Sets the industry standard for full knee roll, pro style goalie leg pads.